ABA, or “Applied Behavior Analysis,” is the standard of care for the treatment of autism spectrum disorders. ABA therapy is rooted in the scientific study of the principles of learning and behavior. In ABA therapy, we use specialized assessment methods to understand what motivates your child. We then use this motivation to teach your child socially significant behaviors. For more information, go to www.bacb.com. Who is eligible for ABA Therapy? ABA therapy has been shown to benefit a wide range of populations but is most consistently recognized as a treatment for autism spectrum disorders. Any individual needing to improve in a developmental or behavioral area would be considered “eligible” for ABA therapy. Some insurance companies will limit coverage to those individuals who hold an autism spectrum diagnosis. What skills are targeted in an ABA therapy program? What happens during an ABA assessment? We follow two core approaches to ABA therapy: a comprehensive approach and a focused approach. We will select the approach most appropriate for the needs of your child and your goals as a family. • Click here to learn more about our comprehensive therapy approach. • Click here to learn more about our focused therapy approach. In general, ABA focuses on small aspects of behavior which build toward larger, more significant changes in functioning and levels of independence. The Board Certified Behavior Analyst (BCBA) who is responsible for your child’s treatment will develop a carefully constructed, individualized and detailed treatment plan which uses reinforcement and other behavior principles to promote the best possible functioning for your child and to help your child maintain and generalize those successes. Typical therapy sessions last for two to three hours with each therapist. Although some children may receive multiple “shifts” of therapy each day, the therapist will be rotated in two to three hour segments to keep things fresh and to hold your child’s attention. At the start of each session, the therapist will arrive at your home and talk with you about your child’s day so far (for example, sleep habits, any unusual behavior, any new skills demonstrated, etc.). The therapist will then proceed to the therapy area to begin instruction. Your child will receive frequent reinforcement breaks throughout each session. The session will end with a follow-up conversation with you to keep you informed; the therapist will also finalize notes to document the session’s progress. How can I register for ABA therapy with Positive Behavioral Connections? Your first step is to contact us. 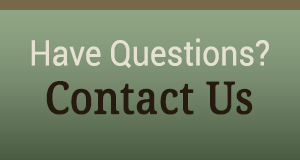 Use either our online form or call our office directly at (331) 457-5533. We’ll discuss where you are located, what time of day your child is available for therapy, what skills you are looking to address and how many hours of programming you are seeking. Next, we will send you an intake packet to complete in order to move onto the next step. See our Parent FAQs for more details.